The incorporation of Enterprise Web 2.0 technologies has been very important to various business organisations and institutions. This is because these technologies possess social and collaborative features that allow employees to communicate collaborate and share knowledge more effectively. Despite the importance of Enterprise Web 2.0, its application faces challenges, chief among them being employee resistance. In order for organisations to successfully implement these social and collaborative technologies within the workplace, employee involvement is necessary. Since Enterprise Web 2.0 technologies are group-based applications, the development of trust is a pre-requisite for group communication and engagement over this social medium. 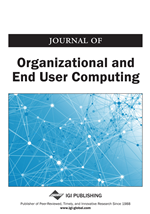 This research therefore explores the role of trust in users' adoption of, and participation in, Enterprise Web 2.0 technologies. In this research, a qualitative approach using focus groups and interviews as data collection techniques was used. The study found that there was an inherent level of user trust due to the transparency of Enterprise Web 2.0, the moderating role of the community, and the professionalism of the workplace environment. This section introduces the concepts of Web 2.0, and Enterprise Web 2.0 as well as discussing challenges for their adoption, along with the benefits for enterprises. Next, this section will provide an overview of the concept of IT/IS adoption and the most dominant IT/IS adoption models in the literature. Finally, an analysis of trust in the context of Enterprise Web 2.0 adoption will be presented.